Кривицька О.В. Демаркаційні лінії в етнополітичному просторі України [монографія] / О.В. Кривицька. – К.: ІПіЕНД ім. І.Ф. 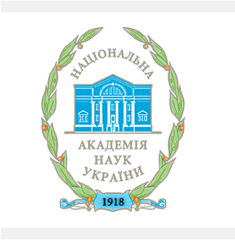 Кураса НАН України, 2015. – 328 с. The issue of ethno-political polarity and socio-cultural demarcation has become topical in Ukraine, as Ukrainian national consciousness is still weak, and for certain segment of society national independence of Ukraine is not of high priority. The monograph provides a complex analysis of identification practices, ethnic borders idiosyncrasy, dialectics of regional and ethnic identity, ethno-political polarity. The author’s vision of such points as the mythologized and politicized issue of “two Ukraine”, “involvement crisis” and values and ideological polarization of Ukraine is revealed. Special attention is paid to the examination of ethno-political markers in the system of inter-ethnic interaction, including the historical memory, religion factor, the influence of migration. The emphasis is made on identifying the “hot buttons” – demarcation lines of ethno-political field, disintegration risks and threats to national security of Ukraine. Intended for researchers, students, politicians – all, who are interested in the processes of consolidation of Ukrainian nation.